this session hasn't happened yet. If you are unsure about the the time, click here to convert the session time to your time zone. Come back to this thread to share or inquire about your personal energy. thank you for coming to this wonderful Remote Prayer Healing Session! We hope you all had a good experience! The session felt super grounding, relieving and refocusing! When we started the Energy Healing our energies were all over the place! Many of you simply needed a reminder to stay in FOCUS OF SELF. This said, it can be quite challenging at times when we feel overwhelmed by pain, fear or judgment. You all did a great job SHOWING UP FOR YOURSELF! Now allow the STILLNESS of knowing that you can trust in your energy! Thank you for your trust in the Remote Prayers Healing Group. Thank you to all the wonderful volunteer healers in the Prayer Group! PLEASE LET US KNOW HOW YOU ARE FEELING! You can inquire about your personal energy here if you don't have anything to share. Just send a quick note here asking us to reflect on your personal energy! Externalizing is nothing but giving up our higher power perceiving our needs or truth for that matter through an external power. We all do this to a certain degree, because we were programmed to do so: money, success, looks, obeying rules, trying to fit in, seeking approval, being loved - but also science and objectivity. However, what we don’t see is that by giving up our innate power to discern what’s true for us, we also give up our power to forgive or to heal. The reason why we do this because of our ego's programming to believe that we are separated and powerless. Our Ego, which is responsible for our primary survival mechanisms, learned at some point that we can seemingly increase our chances of emotional, mental, physical or even spiritual survival through succumbing to idea that we need things from outside of ourselves to be whole. This manifested the idea that we are un-whole, flawed or incomplete. Our body is the storehouse of emotions, thoughts and inner sentiments – in fact it records all energies, generated from within or absorbed from outside. If the majority of our inner energies point outside of us, the internal processing becomes dependent and vulnerable to the outside. We follow what we were told, what the rules dictate, what science suggests, what others think of us and what makes us feel safe. However, what we often overlook in our personal energetic history is that the underlying feeling/energy stored is powerlessness and fear, which are both contractive for healing. Contractive energies reduce our inner power to self-heal and thus often manifest pathological or unfortunate conditions. So, from an energetic point of view, externalization of inner powers through programming can be a major contributor for disease, suffering and manifestation blocks. To fully understand how our control mechanism can create resistance to change and healing it requires us to honestly look at our hidden pay-offs. This is not easy at first. In fact, no matter how unhealthy an existing pattern may be, it unconsciously feels so familiar us that our ego may prefer to stay where it is - often sabotaging our conscious efforts to heal and worst of all, without us being aware of it! To identify and transcend inner control as ego trait and thus responsible for our pain can be tricky. It hides in many different forms of hidden control and can be very difficult to admit to. Many of us think of controlling others at first and dismiss the possibility of this trait because as we don’t feel like we are controlling others; in fact we often feel controlled instead. However, the aspect of control we are talking about is controlling and suppressing our emotions and true feelings. Without realizing this it can be a major cause for physical illness or chronic disorders. Without learning how to properly express our feelings healing can be difficult, as the stored energy is often accompanied by hidden resentments and negativity towards ourself or others. Hidden negativity then results into coveted forms of control, such as shadow, emotional manipulation, projection or victimhood. Our ego-mind can even make us believe that we do this out of love, but deep down the pay-off for us is to feel safe or not having to take responsibility. 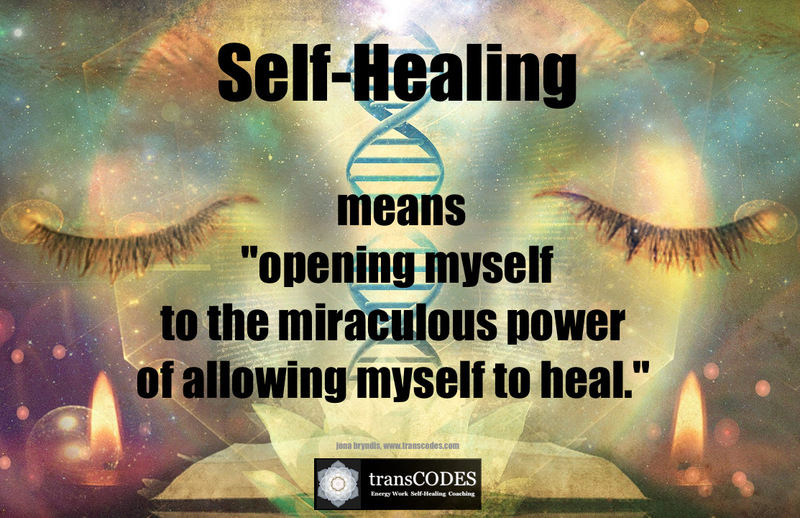 Self-Healing can only occur through connecting with our heart and our True Self’s energetic link to the Divine Field within. Access to these enormous inner healing powers cannot be forced through our mind or ego, and not through our emotionality either! The only way to let go of (ego) control and externalization is through surrendering to our heart, the gateway to our inner divinity. If the heart is not involved, blocked or so far gone that we can’t feel our true needs anymore. The best healing results we can achieve in a disconnected state is a temporary relief of pain/symptoms or in some cases a flaring up of symptoms. The purpose behind such a healing crisis or other crises, like severe accidents or a fatal diagnosis is often to bring more clarity to our awareness by showing us the true cause through signs, promptings, inner guidance and synchronicities. It allows us to make the connection between perceived pains (content) and deeper inner processes (context). If we can allow our inner connection it can guide us how to reconnect through self-nurturing and self-love. In this inner guidance lies our most powerful healing ability. Through letting go of control and surrendering to our inner power to heal we are reconnecting to our inner WHOLENESS. Throughout the session I felt drag in my head in different directions and I had to correct it several times. I had a lot of activity in my left side of the head. I don't know if it has something with my migraine to do? In the middle of the session I had the feeling that my energy was pulled out to each side and became wide and narrow. Through the session I tried to feel the patience and let go .. but I really don't know if it was successful? but it felt good to be there. the pulling out of energies out of your head sideways actually works with migraine. Yes, it often has to do with that and the tension that can come from inner conflict (Masculine & Feminine - left Feminine). Yes, I saw your energy self-healing itself and in a very cool place of SELF-CONNECTION - through the RESONANCE OF GRATITUDE actually. Not sure if you can connect with this, but it was your attitude towards yourself in that moment - what I called it in the Flash Report ACT OF SELF LOVE. It releases tension through becoming a bit more WHOLE again. However, something is still weighing on you. Your 3rd Chakra felt a bit acidic to me - like as if you feel yourself in a constant DEFENSE OR FIGHT with the outer world ... Are you physically treating yourself with the same attitude, Annette? Enough Sleep, good food, lots of water? Thanks a lot for your feedback. I'm really appreciate that. I think your are right about what you mention about fighting with the outer world and I'm afraid I'm treating myself with the same attitude. I get a little sad when I think about it. I just started in the 1st step of Sacred Self-healing and hope I can change it. I'll try to have some more water because I know that I'm not drinking enough. nothing to be sad about. We ALL have this problem with SELF LOVE. If there are things you already know you could do for yourself (out of Self-Love) - do them without procrastination. Everything else that starts coming up in the process has to do with building a momentum. The more you care about yourself the more info/inner guidance you will receive. Welcome to the Sacred Self-Healing course! Did you discover the archive with recordings yet? It was at 3am here and I managed to wake enough to read the invocation, the energy came in so strong I stayed conscious for the most part. Yes I felt like I was all over the place too. Kept loosing the "field" by drifting off and focusing on fragments of things I heard or read lately (low energy stuff), so spent a lot of time refocusing on heart breathing. Somewhere towards the end I have memory of healing light/heat and must have fallen asleep, but came to very suddenly about 5 minutes after the session finished. After I woke this morning I read the invocation to see what I learned. Right now the addictive fight pattern is a lot clearer, and while that part of me has such good intentions (wants to save the whole world! )...its maybe not helping so much. But theres a passion to it too which Im feeling as a really positive energy lately, just not sure how/where to direct it yet. The patience theme is SO appropriate. Cant wait for the world to hurry up and change and yet frustrated with this sense of time speeding up and not enough hours in a day. LOL. And I still struggle to accept the big picture will unravel in its own time. Thanks for the reports Jona, guess Im not the only one with an internal battle going on :-) Will definitely listen to the Self Love in Action clip (again). So easy to forget to honour oneself. Many thanks to all the prayer group facilitators, its quite a journey taking part in these sessions. Thank you once again for this beautiful opportunity to reflect and heal. Would you be so kind as to send me the meditation as I did not receive. I was unable to meditate during this time as I had my grand daughters soccer game, however, i knew the healing process was working once i committed to it. Stuff from the past came up yesterday. Family issues, abondenment, judgement etc. It came through a friend asking about my family, and me talking about it. What came to my mind this morning was moving past it (although it always feels as if i am past it and then wham here it is again 🙂). I have made amends many times with my birth family. With no expectations. It is always me making effort with no effort on the other end, so eventually i just move on. Even though i mentally and emotionally understand it as my karma, i dont hold malice in my heart, but sometimes confusion. Feel more settled today again. Sort of like what is is feeling. I dont necessarily understand it all, yet i feel like i dont need to understand it. Any insights are trusted and appreciated. I came into the transmission about 40 minutes late and ended up having to participate in my car in car park, I was aware of people around me but I put that aside. I put my headphones on and listened to the music 'Self Belief'. I felt quite restless but tried to focus on my heart. For a few minutes I felt pressure in my heart area followed by a flutter, I can only liken it to the feeing of excitement, nervousness or fear. After that sensation I felt my whole body tingling for a moment. After the transmission I felt relaxed and at peace, I drove home in silence as I usually play music as I drive. Thank you for the Patience session.. I found it a little difficult to get into the session as I was at work, 4pm uk time. I took myself away from people around me. I found my mind wandering on things that are going on at the moment for me, the anger and frustrations of my situation that comes and goes over the last few weeks. As much as I try to breathe through this, it is still appearing, at times I’m feeling like I’m being judged and attacked energetically by people, which then brings up the anger and my defences. I’m also not sleeping so well for the past few weeks, I know that with patience that this will adjust and settle down, I feel my energy is changing and shifting and that is throwing me out a little. Towards the end of the session I had aching in my left eye and into my sinuses..I did feel my energy expand and did feel lighter within myself. I would be very interested in what you found and discovered if myself during this session..
many many thanks as always for your amazing work. Hey everybody, thank you all for sharing! We've been having internet issues here with our new provider - late replies... trying whenever I actually have internet! Dear Jona, Roger and All! Thank you so very much for this beautiful Remote Prayer Session, I sincerely appreciate it all. Three of us from our family were participants at this Session, thought our energies would be linked in some ways. Tappy has been a lot better after his first Session a couple of months ago and now and again he has his odd moments. Because the Session was early in the morning for us in the Southern Hemisphere we all fell asleep. About the late afternoon I had a sudden really strong headache, (kind of a headache I've never had, came on so suddenly too). It went on and off until I fell asleep that night and felt as if I was releasing something, as if there was some kind of shift. Please let me know if there's anything we need to do to make Tappy more comfortable. Thank you so, so much, and lots of love to you all! internet issues resolved. All back to normal. Yes, I can confirm that one of the main things we had to do during the session was constant refocusing and realigning. However, with your understanding of energies you also know that this is what FOCUS ON HEALING is really about: The constant process of realignment, clearing, connecting and integrating. <3 It's huge that you are doing this without even thinking about it! "After I woke this morning I read the invocation to see what I learned." Lovely! Cool you followed up on the session! It's not what we experience during the session, it's what unfolds as a consequence of having been exposed to a/this Healing Resonance... Thank you for bringing this to everybody's attention! Your insights in regards to the 'fighting pattern' you mentioned are spot on. No need to judge yourself! It's in your karmic disposition to contextualize this journey in this way. But you can see it, you have the willingness to acknowledge it - this also means you have the ability to out-vibrate it! Go on! Just don't judge yourself for what you couldn't see in the past! On the energetic level, the way this was shown to me was very unique. You have a 'passive' projection pattern - your energy 'silently' sends out resistance to everything, even your own powers (unconsciously). 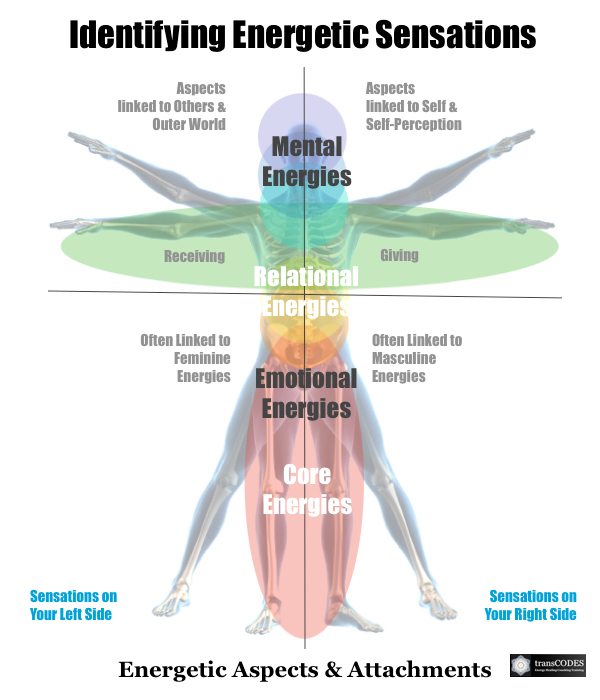 It has to do with the energetic alignment of a person. So, your TRUE POWER can only unfold when in the right energetic condition (state) which is beyond TRUTH. Below truth your energy get's wrapped up in proving truth...so really all this confirms, is that your primary focus should be on upping your energetic state, so that your disposition to 'fight' can't grip. Not sure if this makes sense to you. Just accept that you are a fighter/warrior - but don't energize anything that could trigger the coping aspect of this trait - instead focus on how this fighter-power can help you to overcome collective beliefs and limitations about cancer for example. I know you are already aware of this. Now that you have the new coordinates, go for it! The headachy feeling is something I had too and many people I talked to this week. However, I did feel it during the session while working with your and Tappy's field as well. some of which appears to be linked to overthinking things...so, nothing new for you Tismar, as the worries create a layer of mental and emotional energies that constantly needs to be dealt with - for you and for him! As for your personal energy, the main pattern to look at is the constant worry and projection that comes with it (as mentioned above). Cats, kids, people are what they are and they need to contend with what they need to contend with. It is not our responsibility. So, taking responsibility for others (which is normal as a mom and pet owner) can sometimes go too far. We need to feel when it's important to just let them be - and let them make their own 'mistakes', as this is what they came here for. You cannot change that. The more you try, the more exhausted you and others around will become. Hope this makes sense to you Tismar. Hm..this happened to others as well over the weekend. Check your spam, Cher, since it was sent out to you. As for the Karmic Family aspects, I will talk about this in the energy update on Thursday. Over the weekend this is a process that has been coming in collectively. I commented to others about very similar aspects - but they are all just different expressions of the same theme. What it means is that we need to MOVE PAST our Karmic Set-Up and Dispositions. It just is. It was able to determine our perception, experiences, coping and even motivation in the past - but we are now at a point where we just need to let all that go and create our own destiny! It expresses the higher levels of SELF-RESPONSIBITY. In your personal case, it was visible that there is integration within you going on. Keep going into this direction, Cher - and remind yourself that all that 'just is' - it's like weather. Nothing you need to ruminate about. Accept other ppl's limitations and move on. It's your choice (and self-responsibility) to move away from people's fields if they degrade or weaken you. You cannot change others. All you CAN change is what you energize and what you align yourself to. Hope this helps to let go of what you cannot change. Thanks for the reply Jona, spent a couple of days contemplating your words and yes it does make sense, awesome. Todays weekly You Tube really helped too. Hi! I just finished editing the Energy Report you mentioned Melly - wanted to respond to the last posts here, but too tired now (3.30 am here) - so will have to get back in the morning/noon. Thanks for your LIKE, Melly! Thanks for your patience Valerie and Fay! Thank you! Such simple advice and yet sometimes not easy 🙂. Thank you also for the prayer of patience. I love and appreciate you! Thank you so much Jona! I have not checked Tappy's thyroid. I'll keep him warm with heat packs and will look into getting his thyroid checked. Thank you so very much Jona, I greatly appreciate all your help! Let me know how the thyroid check turned out. thank you for your patience. This was quite a week since our session! Many of the challenges you describe Fay are actually part of what everybody experiences, it's just that not everybody has the ability to contextualize this. Often people tend to go into judgment and righteousness when they feel that they are loosing their grounds - which in their eyes needs to be externalized and projected onto others. So, to a degree your perception that you are attacked is correct, but most likely not for the reasons you think. It's not as personal as it appears. People are looking/holding on to straws to justify their VERSION OF REALITY. It 'hits' people like us first, simply because we carry the frequency of this new energy that is threatening other people's reality. I understand your frustration, but the problem can be resolved by simply accepting that we will never really fit in (deep down we don't want to - for a good reason). And so, it comes that we need to let go from wanting to fit in. Wear it as a badge of honor, Fay! As for the shifts that can feel very overwhelming at the moment, it's important that you remind yourself to move from your head into your heart. Things cannot be 'figured out' with he mind anymore - they don't make sense to us on that level. Only our heart (not emotions) can help us to feel the needed compassion for the world and human behavior (often also for our own), so that we can let go of our judgment as well. Also, keep an eye on trying to please others. It's wasted energy! Cool you took the time for the session. For your energy very similar aspects as I mentioned to Faye contextualize with your personal energies in a more internal way. For you the primary energy is always linked to letting go of GUILT, as this is the part in you that blocks your SELF LOVE. During the session I saw your energy going into this place, so, simply the fact that you took the time and allowed yourself these 20 minutes of spending with yourself is showing you your healing path. You cannot support yourself if you (subconsciously) believe you are not deserving it. Therefore, the focus needs to be on only doing things that DO NOT make you feel guilty or regretful down the road. Only do what is true to you, Val! Distraction and busy-ness is your kryptonite. Take more time for yourself! Thank you for taking the time to explain my energy. I am working at realeasing the negatives mentioned and working on self love. It's a battle at times but as the saying goes 'One small step in the right direction gets you to where you need to go'.